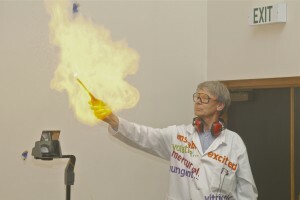 Move over Harry Potter, if you want to see truly magical displays, watch a chemist in action. 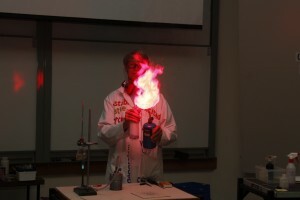 Forget those glowing bacteria (sorry Siouxsie ;-)) if you want a fantastic light display ask a chemist. 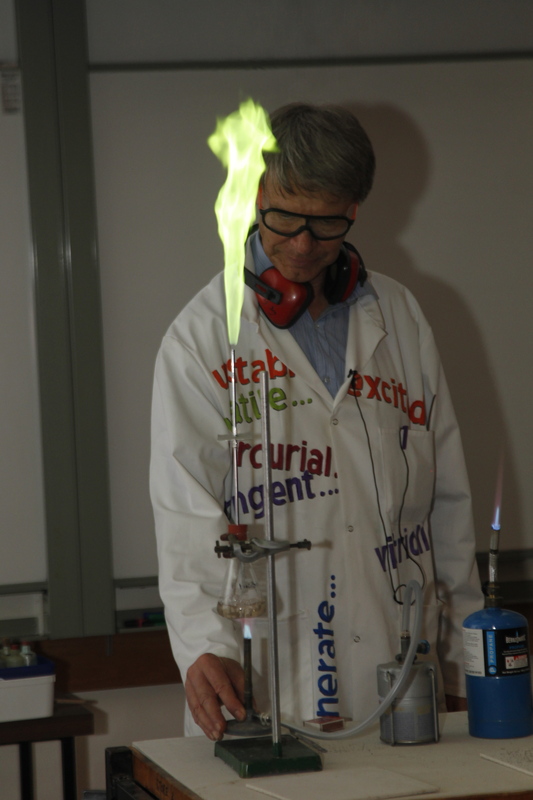 Last Thursday, the awesome chemistry skills of Rudi Jansen (Middleton Grange School) and Graham Townsend (University of Canterbury) were demonstrated to an audience of around 275 people. This “Chemistry Extravaganza” demonstrated the chemistry behind glowing gases, explosions, coloured flames and various chemical and physical changes (breaking stainless steel using water). Hosted by the local branch of the New Zealand Institute of Chemistry, this is one event we will certainly be repeating. 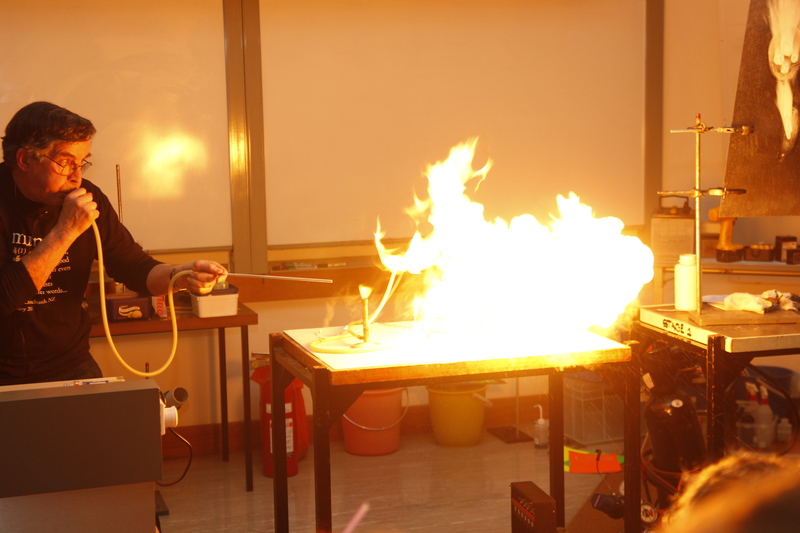 A big thanks to Martin Anderson for taking these photos.